No, we’re not on Kia’s payroll. But just one week after covering their new Niro, we randomly came across some photos of their new Stonic subcompact crossover, and we couldn’t resist digging in for more details. 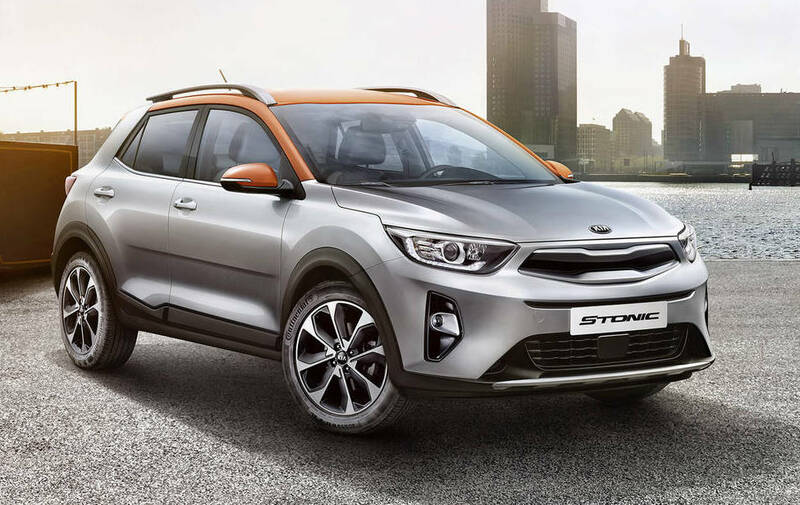 Turns out the Stonic won’t be available here for a while yet (Kia tells us “soon,” but you can sign up with them for more updates). Stonic? 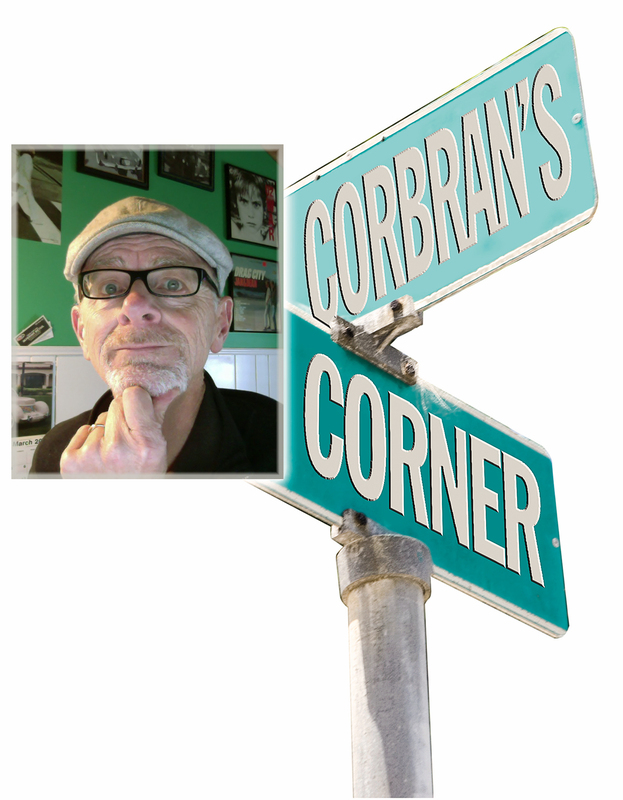 Car and Driver magazine calls it a portmanteau of “speedy” and “tonic.” Two things here: yes, “portmanteau” is the latest buzzword in the automotive world — a portmanteau being a new word made up of a mash-up of two old words. Speedy? I doubt it. But then again, in a recent article in the Korea Herald, reporters were able to take a new Stonic for a road test which began in Seoul. Testers complained that the 1.6L engine in the vehicle was noisy at speed, but they did commend its (sic) land departure warning feature. Wow! Land departure! These things must be quicker than was anticipated! The “tonic” part still throws me, however. Maybe it has something to do with a lane departure feature which keeps you in line after too many gin & tonics. The “speedy” part is a bit confusing here, what with the Stonic’s 1.0L engine (at least, in Europe; some sources say we’ll probably see the 1.4L here in the U.S., while others say it will be either a 2.0L or the aforementioned 1.6L turbo). Unless the Stonic weighs half-a-ton or so, I can’t see applying a “speedy” moniker to it. And speaking of powerplants, Automotive News is predicting an all-electric version with an expected range of around 250 miles. 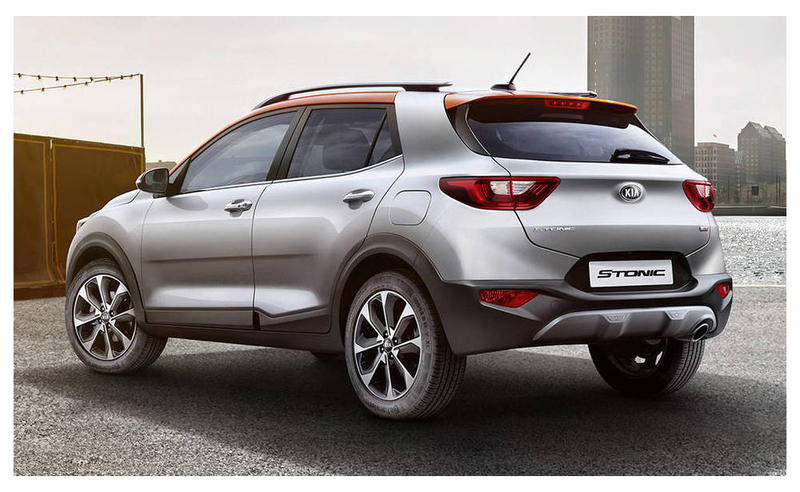 What really grabbed my attention about the Stonic was the two-toning which appears on the cars in most of the publicity shots. Kia tells us there’ll be up to 20 possible two-tone combinations, using five different roof colors. I hope this is the continuation of a trend mostly started a few years back with the re-introduction of the Mini. That paint is applied to a body which Kia tells us is of a “bold design that’s meant to be noticed.” And for the most part I’ll agree with them that it will be noticed, but maybe not so much if the paint job is monochromatic. 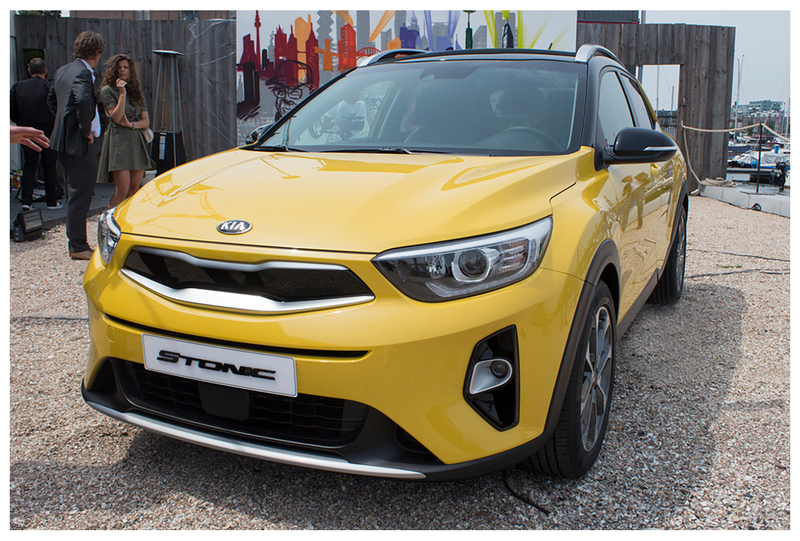 The Stonic’s shape isn’t objectionable by any means, but Kia’s further description of “…sharp horizontal lines (which) contrast with smooth design, blending into the landscape with distinction,” I dunno. When I squint it looks like half a dozen other small crossovers. They’re not telling us much yet, but the few bones they’ve thrown reveal something Kia calls a “D-cut steering wheel” (which you and others might merely call a flat-bottomed steering wheel, not unlike those seen on many VWs & Audis); heated driver and passenger seats (why do back seat passengers so often get the shaft in the heated seats department? ); and a seven-inch floating touch screen display. To me, a “floating” touch screen display looks like the dashboard designers forgot about it in the early stages of design, and just screwed an iPad onto the top of the center stack. Ugh. All that aside, I’m sure the Stonic will do well, as Kia’s reputation for quality and its generous warranty can only help push this compact crossover out showroom doors.